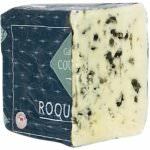 Smokey Blue is the first smoked blue cheese, another first of Rogue Creamery (Oregon Blue was the first blue cheese made on the American West Coast). 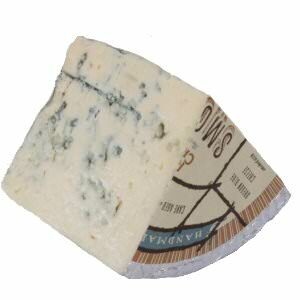 Smokey Blue is the cold smoked version of that Oregon Blue and is a very delicious and interesting blue cheese. The cheese is cold smoked for 16 hours with hazelnut shells; the result is a cheese that has a sweet flavor of caramel and hazelnuts that mellows the sharpness of the blue cheese. Even if blue cheese is not your choice, you should try the Smokey Blue as it will surprise your taste buds. The creamy Smokey Blue was awarded 'Best New Product at the National Association for the Specialty Food Trade's (NASFT) Summer Fancy Food Show in 2005. 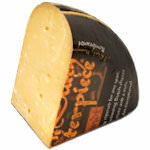 In 2009 Smokey Blue was awarded a first place in the Smoked Cheese Category at the American Cheese Society Competition. 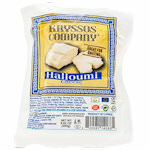 Ingredients: Sustainable natural raw whole milk, salt, enzymes, cultures, Penicillium Roquforti.